What is the reason behind Shiva wears tiger skin & holds trishul with damru? 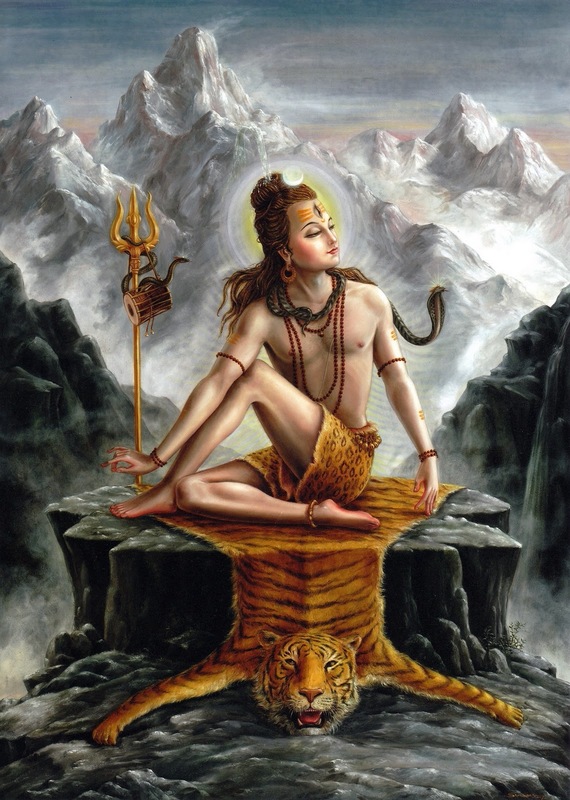 According to Shiv puran, when did Lord Shiva started to wear tiger skin and holded trishul with damru. It will be better, if you can provide shlokas from Shiv puran. Browse other questions tagged shiva-purana . Why is there a Damaru attached to Lord Shiva's trishul? Why are Gods and Yogis shown sitting on animals skins? What is the “essence of the earth and heaven” given by Brahma to sage Gautama at his marriage? Why doesn't Shiva worship anybody where as Vishnu worships him in all his incarnations? Where and when do Lord Shiva's legends originate? What are all Varaha Avatars of Vishnu? What is the correct source of this verse? Are there more than one origins of Ma Kali?